D.P. Monitor is one of the finest examples of a converted tug boat that offers high comfort and state of the art technology. 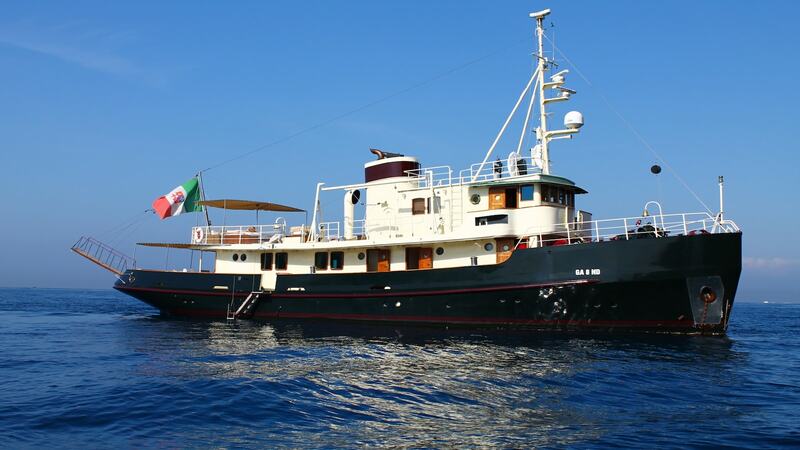 Constructed in 1953 by Cantieri Benetti Shipyards, she was converted into a pleasure yacht in 1991. The yacht underwent an extensive refit and re-styling of her interiors and exterior in 2010-2011 that granted a subtle and noble charm to her furnishing and decor. Today D.P. Monitor is a highly exclusive yacht, which perfectly combines avant-garde technological solutions with the vintage appeal of its original particulars. She’s a pleasurable cruising yacht that makes the most of her design capacity. Accommodating up to ten guests in five cabins, she is appreciated for her optimum seaworthiness and stability. D.P. Monitor is the ideal yacht for owners who are fascinated by the classic lines of the “working boat”.